I bought a standard spongecake in the shop. Of course not the cheapest but one prepared with real butter. Twice the price for half the amount but I didn’t wanted it to only look good or else I might as well have used some hobby clay to make it. it took me a few hours in the kitchen. When I started, I notice my white fondant had gone dry a bit what makes modelling just that bit more difficult. Adding a few drops of water did the trick but it wasn’t easy. 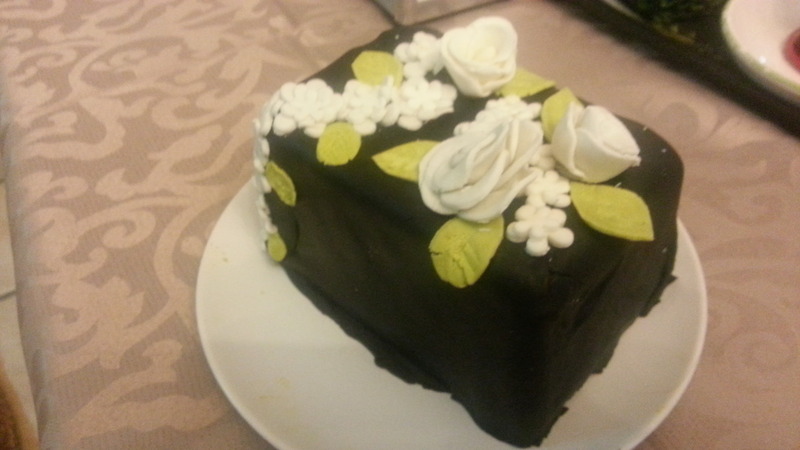 I also had black fondant and this had never been opened which made a real difference in working with it. 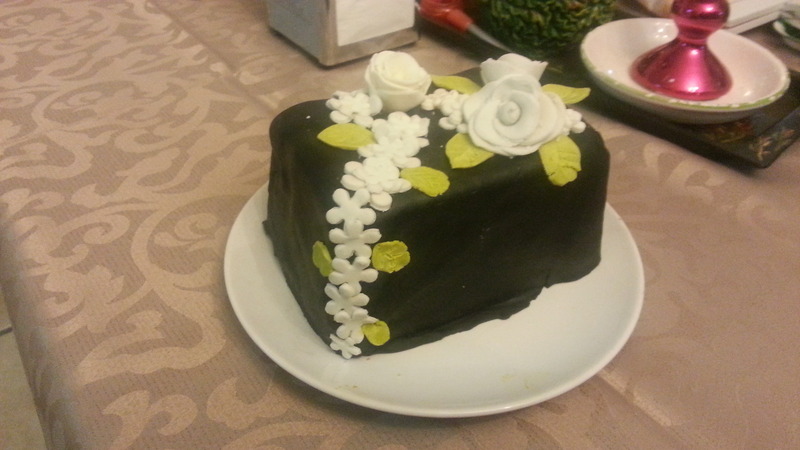 I didn’t have green so with a bit of food colour I changed some of the white fondant to a light pale green. I did the covering of the cake with black first but unfortunately my roller was rather short and not suited for larger sheets of fondant to be rolled so I had to do this in stages. 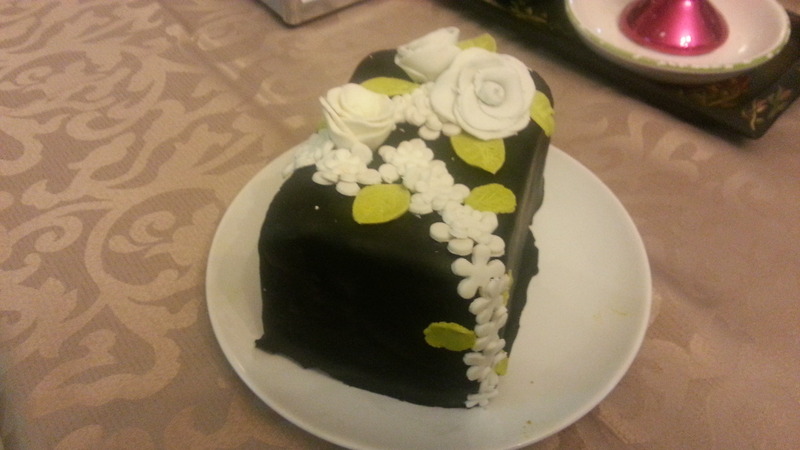 When the cake was covered, the overlaps did really show up. My solutions was to cover them with a string of little flowers. I was so proud with the result. This was my first time ever in sculpting little flowers. When showing it to Lee, I had trouble getting my cake back as he wanted to stuff his face in the cake straightaway. He just loved it. When presenting it to our visitors, they made pictures to send home. You can imagine I was glowing. Definitely something to do more often. This entry was posted in Hobby and tagged cooking. Bookmark the permalink.